Meticulously maintained home in a great location w/quick easy access to the Williamsburg West gate, Hwy. 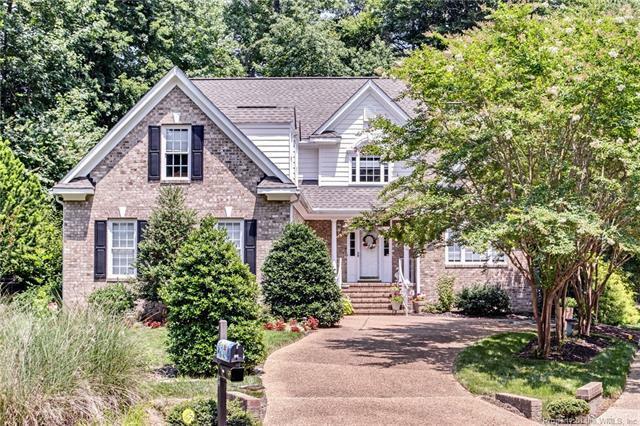 199 as well as the walking trails, large fishing pond, newest pool & tennis courts, etc. Current owner was president of Ford's Colony's Garden Club for 3 yrs. & has a beautifully landscaped, low maintenance, private, fenced yard. The home provides great one level living & entertaining w/an open plan defined by different ceiling heights. A two story foyer is a gracious way to greet guests to home filled with light. The sunroom could serve many purposes as an oversized dining area or cozy place to enjoy the views of the beautiful backyard. It opens to a huge deck featuring built-in seating & a retractable awning creating a great retreat even on the brightest of days. The 2nd floor is perfect for kids or visiting guests w/2 more bedrooms, a full bathroom, half bathroom & bonus room that could serve as another large bedroom or great rec. room. The loft is a perfect reading nook or place for a desk. This home is a must see! Don't miss the NEW Tankless hot water heater w/built-in recirculating pump.